Those of you who are long-time BF readers will probably just want to scroll down to the bottom of this piece. What follows, by way of explanation, is a little piece of recent Frontier history for all those new readers we’ve picked up over the last couple of months! Last year Broken Frontier published not one but two anthology projects. They may have been very different in presentation but both shared the essential spirit of the BF philosophy – to champion the very best in creator-owned and indie comics talent. Our Broken Frontier Anthology was spearheaded by BF’s founder and recently departed Creative Director Frederik Hautain and, after a dramatic crowdfunding campaign, reached its Kickstarter funding figure in spectacular fashion with the bulk of the needed funds coming in over the last 48 hours or so. It featured work from the likes of Steve Orlando, Karrie Fransman, EdieOP, Cullen Bunn, Nathan Fox, INJ Culbard, Jamie Coe, Mark Stafford, David Hine, Marguerite Bennett, Noah Van Sciver and many, many more. 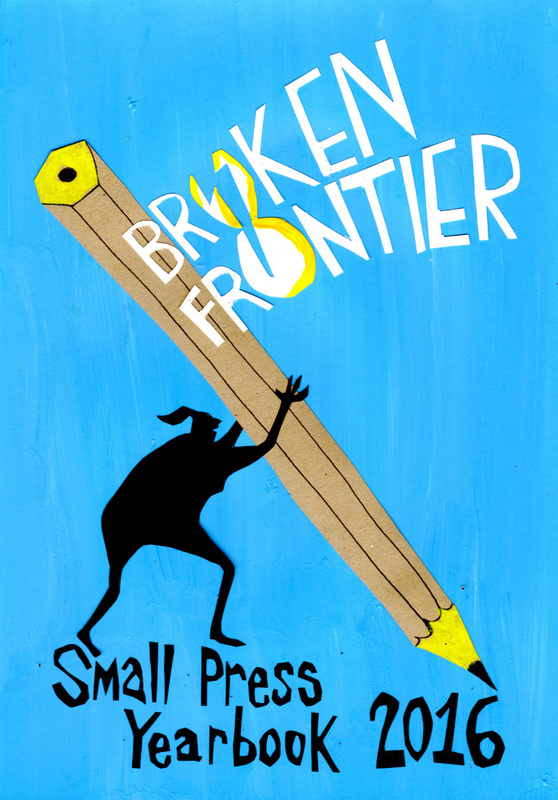 Perhaps not as high-profile but certainly no less in keeping with the ethos of the site was our very first Broken Frontier Small Press Yearbook (right – cover by Danny Noble). This represented the culmination of a year’s coverage for our first set of ‘Six Small Press Creators to Watch‘ – Rozi Hathaway, Jess Milton, Danny Noble, Emma Raby, Alice Urbino and Adam Vian. The book was designed as a promotional showcase for their comics on “graduation”, with around 40% of the 500-copy print run given away for free in order to get their work seen by as many potential publishers and commentators as possible. Those six artists’ contributions were supplemented with back-up stories by a number of creators to have been featured in our ‘Small Pressganged’ column over the years before being picked up by publishers including EdieOP, Gareth Brookes, Jessica Martin, Donya Todd, Gill Hatcher, Paul B. Rainey. Owen D. Pomery, Mike Medaglia and Alex Potts (with guest shots from Rebecca Bagley and Kim Clements). The 2016 Yearbook is still available online here priced just £6.00 for around 90 pages of comics! 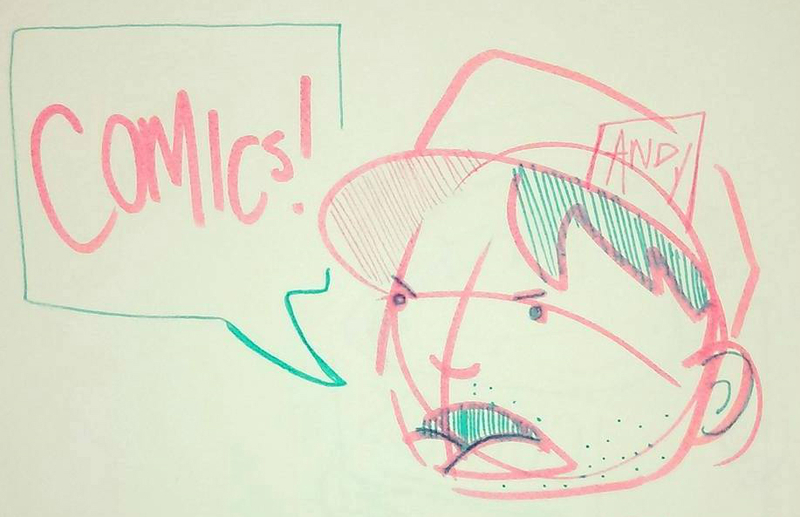 This week’s ‘Andy Oliver cartoon’ is by Broken Frontier Staff Writer EdieOP. 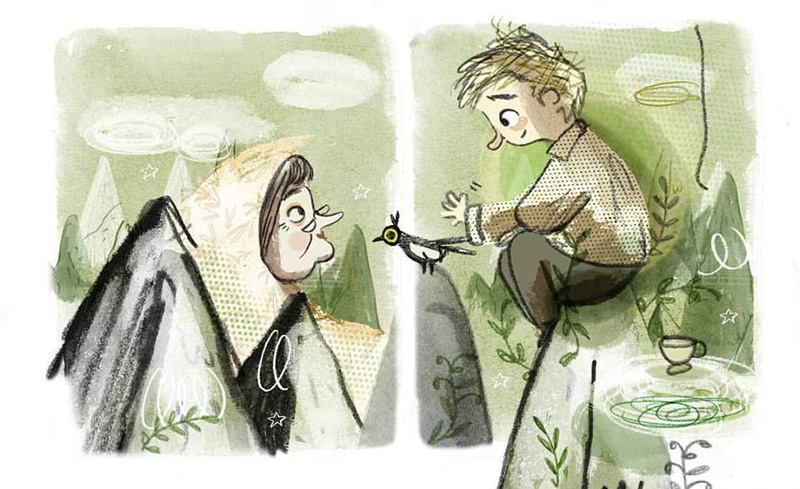 Edie is the British Comic Award-nominated artist behind Maleficium from Avery Hill Publishing. 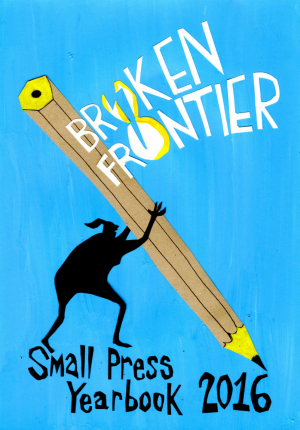 She has self-published a number of comics including Jonah, Dangerfun and Making Friends with Smiley, was part of the Reads line-up from Avery Hill and was the only creator to feature in both the Broken Frontier Anthology and the Broken Frontier Small Press Yearbook. You can follow Edie on Twitter here. You can buy Maleficium as part of a bargain special offer from the Avery Hill store here.